Left back with a lot of power, he stands out for his long-distance shots, as well as for being a great defender. Thiagus Petrus was born in Minas Gerais, Brazil on January 25, 1989. He has past experience in the Asobal League, since years ago he played Naturhouse La Rioja. His career began at the age of 15 at the Olympic Club Atlético, a team from his home town. In 2007, before moving to Europe, he joined Esporte Club Pinheiros, one of the leading teams in Brazil. There, he won the first titles of his professional career. In 2012, he signed his first contract in Europe with Naturhouse La Rioja, where he broke out as a player. The Brazilian not only performed well in domestic competitions, but also in the EHF Champions League. After three seasons, in 2015 Petrus began a new adventure in Hungary, at SC Pick Szeged, where he won the 2017/18 league title. A left back and defensive specialist, Petrus also played an important role with the Brazilian national team. His top play with Naturhouse and Pick Szeged helped make him a regular international call-up. In 2016, he won the gold medal at the Pan American Games. 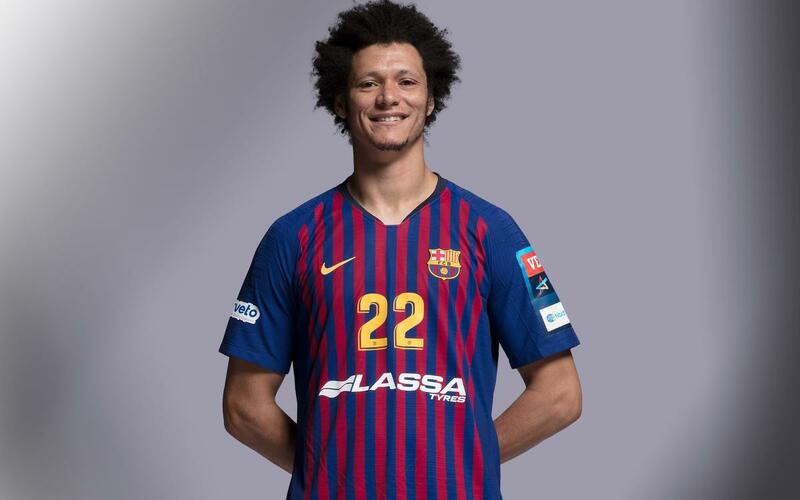 On June 15, 2018, he joined Barça Lassa for the next three seasons. The Brazilian left back has spectacular physical capabilities. His power and ability to jump make him a player with a very good long-range shot. But his main specialty is defense due to his size and intuition.